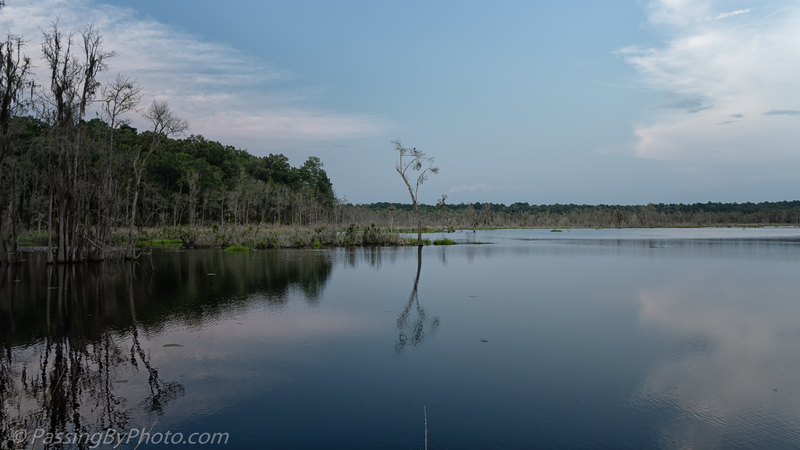 The tree in the center of this image is where I spotted the Black-bellied Whistling Duck featured in my earlier post. The duck was a bonus as I wanted to take some landscape images as the sun went down. The water was smooth for reflections and the light just faded quietly away. The water here seems higher than last summer. There are very few water lilies compared to last year and many of the trees around the pond perimeter show little sign of life at a distance. July 28, 2018, about 40 minutes before sunset.